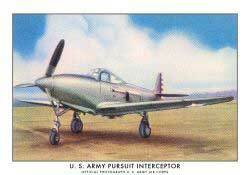 In the early 1940s, the Brown & Williamson Tobacco Corporation, of Louisville, Kentucky, issued the Modern American Airplanes series of trading cards. 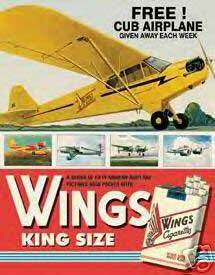 Wings cigarettes were a product of the depression. While regular cigarettes cost 25¢ for two packs, Wings packs sold for 10¢ each. The cards were inserted in packs of their Wings cigarettes as a premium. There are four series of 50 subjects each. 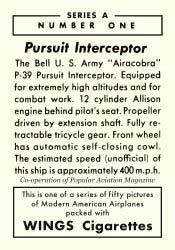 The back of each card contains descriptive text particular to each aircraft. It seems B&W initially planned to produce only one set of 50 cards. At some point in the process, they decided they had a good thing on their hands, and added another 100 subjects. They began with cards numbered 1-50, with only the card number in the box at the top of each card back. After the decision was made to increase the number subjects, they needed a way to distinguish this series from the ones to come. The caption "Series A" was added along with the number. The "Unlettered Series" and "Series A" were comprised of the exact same aircraft. I believe that since the "Series A" cards were produced toward the end of the initial series production process, they are much harder to find, and command a premium over the cards in the other three series. Card number 34, is captioned Sparton "Executive" in the Unlettered Series, and corrected to Spartan "Executive" in Series A. "Series B" and "Series C" followed. Aircraft from foreign countries, notably Great Britain, were added to fill out these last two sets. 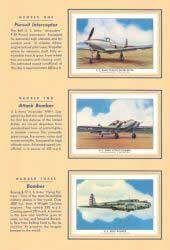 The first two series of cards were produced with the "cooperation of Popular Aviation magazine". The magazine, now named Flying, is still being published. The military planes pictured were from "official photographs" of the U.S. Navy or the U.S. Army Air Corps. Larger photos of the pictured aircraft were offered for 10 cents on he backs of the first 25 Series B cards. Albums for all three (different) series, to facilitate card collecting, were also available. One of these is pictured after my "Wanted" tables. The American Card Catalog number for these cards is T87. A more detailed discussion of the card backs can be found below. Complete checklists and graphics for T87 (Unlettered and Series A) cards can be found on the Skytamer Web site. To see my Checklist for the No Letter Series (.pdf file) click here. To See my Checklist for Series 'A' (.pdf file) click here. To See my Checklist for Series 'B' (.pdf file) click here. To See my Checklist for Series 'C' (.pdf file) click here. 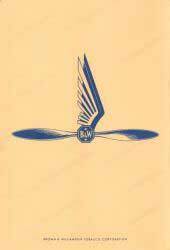 Click here to see the Wings Cigarette cards featured on the Imperial Airways Web site. The following table lists the cards I still need to upgrade to complete a near mint, or better collection. Popular Aviation became Flying and Popular Aviation with Vol. 27 in 1940. It became simply Flying in 1942 (Vol. 31). I have seen three different card backs (apart from the series and numbering schemes). 1. 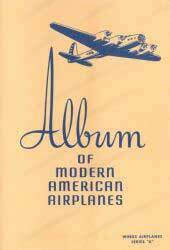 The Unlettered Series and Series A contain the words "Co-operation of Popular Aviation Magazine" and "This is one of a series of fifty pictures of Modern American Airplanes packed with WINGS Cigarettes". 2. The first 25 cards of Series B state: "Co-operation of Flying and Popular Aviation", and the statement "This is one of a series of fifty pictures of Modern Airplanes packed with WINGS Cigarettes", leaving out the word "American". Also added is "Send 10¢, coin or postage, for 7¼ x 10 color reproduction of this photo suitable for framing to Brown & Williamson Tobacco Corp. Louisville, Kentucky". (It would appear from what I have seen that the only large photo premiums that exist are the first 25 subjects of Series B). 3. 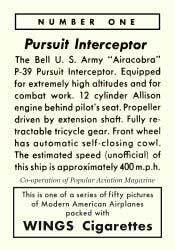 The last 25 cards in Series B and all of Series C have the "Flying and Popular Aviation" notice and the "Modern Airplanes" statement.